I asked a group of homeschooling children what they felt about homeschooling. The children were aged between 8 and 12. This obviously doesn't make for serious research (only two of the children had ever been to school! ), but I enjoyed listening to their views. They had obviously thought quite a lot about what being homeschooled meant to them - and how if effected them. The advantages and disadvantages they came up with were surprising! Some not quite what I expected. With homeschooling you can really choose friends that suit you. Homeschooling is more interesting. You can study the things you are interested in. No homework - I pointed out it was all homework but they didn't agree! You can do your work at your level and it doesn't matter if you are a bit behind in some subjects and ahead in others. You get to spend time with your family. I told them some children would think this was a disadvantage of homeschooling, but they shrugged, and said they liked it. You don't get to see your friends every day. School children think you are weird and won't know anything. They think you will only learn things if you go to school. You can't get away with anything! Your parents know what you have been up to. You can't sit in the back of class and daydream. You don't get to go on school buses. You have to motivate yourself a bit - there is no one to compete with. I thought it interesting that the children raised socialization themselves. And felt that benefit of seeing friends every day was balanced by getting to choose your friends from a wider variety of ages - in finding friends that you really liked and had the same interests as you (not just going to the same school as you). I think socialization was also behind the 'school bus' comment, as this is really the place school children get to socialize. Although they relished the idea of 'being who you want to be' (and felt that was a really important benefit of being homeschooled), they did feel the disadvantage of being thought 'different' from other children who go to school. They said it was tiresome to constantly have to explain how homeschooling worked, and that schooled children automatically assumed they wouldn't know anything. One of the children said "They always start off by asking what school you go to - so you always have to explain. Then some of them think it is neat, but lots of them start testing you to see if you can do math. They just don't think you can learn anything unless you go to school"
So, it wasn't quite what I expected, or what I would list as homeschooling pros and cons. But it was very interesting to see things from the children's point of view. 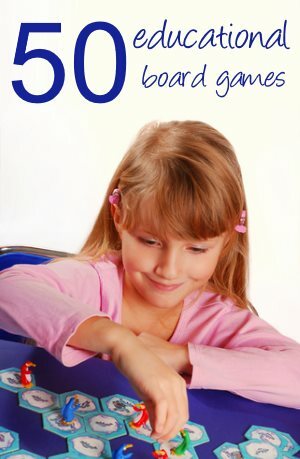 What do your children think about homeschooling? The advantages and disadvantages? I would love to hear from them. 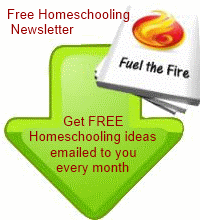 Why not share your homeschooling story.